Restoring the health and function of the smile while enhancing its’ natural beauty is the primary focus of cosmetic dentistry. At Ridgeway Dental, Drs. Jonathan H. and David J. Jacobs, along with their capable team, strive to restore the appearance of teeth while improving function and putting any oral health concerns to rest. From eliminating persistent enamel stains to correcting dental imperfections and misalignment, our St. Clair Shores team provides patients throughout Macomb County with personalized treatment plans to meet the unique needs of each patients’ smile. For more information about on how we can enhance the natural aesthetics of your smile, we encourage you to call our experienced and friendly team at Ridgeway Dental today. while our St. Clair Shores offers silver, amalgam, and enamel-colored fillings, we help you maintain the natural beauty of your teeth through our white composite reliable restorations. Composite fillings are strong and durable, providing a long-lasting option for repairing dental decay, and damage. 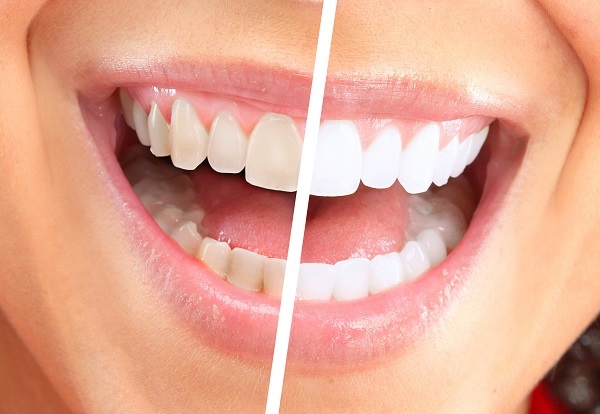 They are closely matched to your natural enamel, providing treatment that is unnoticeable. Drs. 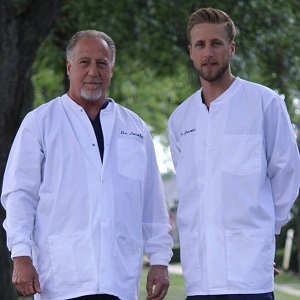 Jonathan and David Jacobs offer patients the advantage of whitening their smile at their own pace with our convenient take-home whitening kits. During your consultation, our dentists will create a custom-fitted tray that is designed to fit the shape of your smile comfortably. The professional-grade whitening agents in our kits are specially formulated to lift years of staining from your enamel. we utilize the expertise of our trusted outside lab to craft your custom-made veneers from the highest-quality porcelain. These thin, durable shells cover the surfaces of teeth, improving the color, shape, size, or length. Porcelain veneers mimic the natural shade and properties of teeth, providing our patients with completely renewed, uniformed smiles. Dr. David J. Jacobs proudly offers Invisalign’s virtually invisible trays as an alternative to traditional metal braces. This system consists of personalized aligners that gradually and discreetly straighten your teeth. Because of their seemingly invisible nature, patients have the added benefit of undergoing treatment while remaining confident in their smiles. Invisalign patients are required to wear their trays for up to 22 hours a day. Because of this, we highly recommend these clear braces for responsible teens and adults who will comply with the treatment guidelines. To ensure the successful longevity of our cosmetic treatments, Drs. Jonathan and David Jacobs first establish a strong oral health environment. With your initial consultation involving a thorough examination, our team works together to help you and your loved ones achieve optimal oral health before recommending any aesthetic treatments. Once your ideal dental state is established, our dentists will create a completely personalized plan that best suits your aesthetic needs, goals, and expectations. By walking you through every step of your treatment, we build trust with our patients. We demonstrate our respect for you with proper communication. Contact Ridgeway Dental for Your Cosmetic Consultation Today! No matter the specific aesthetic concern of your smile, our entire St. Clair Shores team is committed to helping you and your loved ones smile with complete confidence once more. Call us today to schedule your initial consultation!